It’s that time of the week when we take a quick look at what movies are hot at the UK Box Office, so lets take a look at the figures for UK Box Office March 24 2017. Beauty and the Beast stays in top spot for a second week taking an impressive £12,334,338. Power Rangers enters the chart in second spot but in contrast only manages to take £1,574,624. Other new entries on this week’s chart include sci-fi horror Life at 6, The Lost City of Z at 7 and CHiPs at 8. In fact CHiPs takes a predictably low £205,933 which mirrors its disappointing showing at the US cinema. 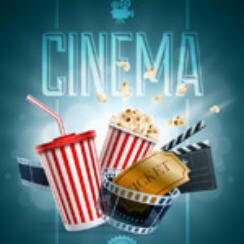 Don’t forget to check back every Thursday as we go through the week’s new cinema releases along with their film trailers. One of the new cinema offerings this week is the comedy Ghost In The Shell, more on that on Thursday.